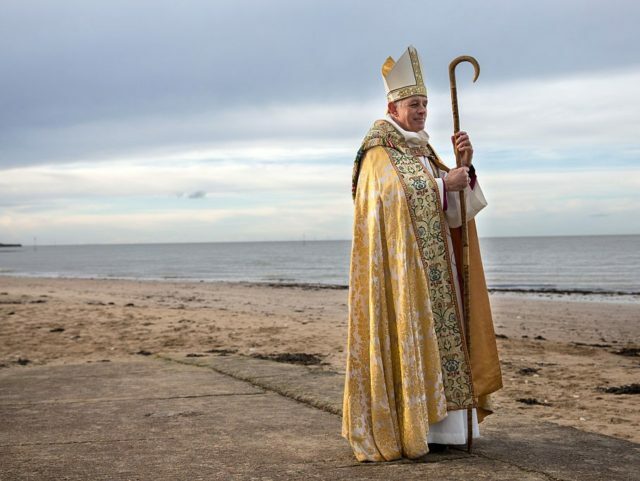 As ministers called on the Home Office to take action against an unprecedented influx of boats carrying migrants from the third world, the bishop of Dover told the Observer it was “crucial that we all remember that we are dealing with human beings here”. With well over 100 migrants having broken into Britain by boat in recent weeks, the majority of whom reportedly hail from Iran, Home Secretary Sajid Javid on Friday declared a “major incident” in English waters, cutting short his Christmas break abroad to respond to the issue. He said on Saturday: “The situation in the Channel is of grave concern, with people gambling their lives in reckless attempts to reach the UK in unsafe boats and treacherous conditions. Labour and the Liberal Democrats have been fierce critics of attempts by the Conservative government to crack down on illegal immigration. With both parties fierce critics of attempts by the Conservative government to crack down on illegal immigration, the response from Labour and the Liberal Democrats to the surging activity of criminal gangs ferrying people across the English Channel has been to demand ministers establish new routes via which taxpayer cash is used to import migrants directly from the third world. Even though more than 10,000 Syrians having been flown into the UK under government resettlement programmes in the last few years, Liberal Democrat home affairs spokesman Ed Davey claimed that the only way to tackle illegal immigration is for Britain to “ensure safe routes to sanctuary in Britain for those forced out of their homes, whether by war in Syria or persecution in Iran”. With hundreds of thousands of refugees from Syria having left Turkey and returned home following recent military operations, Syrian women have urged Europe and other Western nations who granted asylum to young men from the Middle Eastern nation to “kick them out” and send them back to rebuild their homeland, as Breitbart London reported last week.